From separate media reports on ‘massive’ exercises in India’s western deserts, we learn that India’s premier ‘strike’ corps, two Corps (Kharga Corps), and a ‘pivot’ corps, 10 Corps (Chetak Corps), are being exercised. Interestingly, media reports that carry mention of the two Corps exercise, ‘Exercise Brahmashira’, make no mention of the other exercise, Exercise Akraman II of 10 Corps, and vice versa. It would seem that the two are not interconnected. However, this is improbable since the exercises are taking place in the same geographic area, Suratgarh sector. Therefore, it can be plausibly be inferred that a pivot corps and a strike crops are exercising together. What are the implications? Pivot corps are erstwhile ‘holding’ corps in a defensive role. India’s doctrine, now a decade old, converted these into ‘pivot’ corps, equipping each with an offensive element, termed ‘integrated battle group’. From the name of the pivot corps exercise, Akraman (attack) II, it is likely that the Chetak corps exercise is to practice its integrated battle groups (IBG). Each of India’s three strike corps is orbited to one of the three geographic commands facing Pakistan. Kharga Corps, under Western Command, is reasonably understood to operate in the developed plains sector in Punjab which Western Command faces. However, strike corps, owing to their inherent mobility, are able to achieve surprise. Therefore, they can be launched across the entire front at any point. In this case, it appears that the Kharga Corps is being put through its paces in the semi-developed terrain opposite South Western Command. In the doctrine, while the initial offensives are launched by division-sized IBGs of pivot corps and of strike corps formations located closer to the border, the remainder of the strike corps mobilizes in their wake. It can use the areas already captured by IBGs for jump off for battles within enemy territory. Clearly, in light of possible Pakistani nuclear thresholds, one salient exit point from conflict for both sides is therefore prior to launch of strike corps. Pakistan may be able to countenance shallow thrusts by IBGs along the front with greater equanimity than deeper thrusts that could potentially threaten its vital areas and communication networks in greater depth by strike corps in deep battle. In this case in the semi-developed sector there is arguably greater space for strike corps operations without flirting inordinately with the proverbial nuclear threshold as would be the case in developed terrain, say, opposite Lahore. Therefore, if in the current exercise the strike corps is advertised as rehearsing maneuvers that ‘will allow the Army formations to break through multiple obstacles within a restricted time frame’, then the army expects sufficient space for territorial gains and attrition of Pakistani reserves without the nuclear factor intervening. Presumably, this is so in the desert sector further south too, where another strike corps, 21 Corps, is slated to operate under Southern Command. Pakistan has in its testing of a tactical nuclear weapon hinted at a lower nuclear threshold precisely to stay such operations by India’s strike corps in their tracks. India, for its part, is exhibiting nonchalance by going about an exercise that takes the strike corps across multiple obstacle systems to indicate that it is not self-deterred from using its conventional advantage. The two states are playing a ‘game of chicken’. The questionable part is in the doctrine being practiced envisages strike corps operations in depth areas. 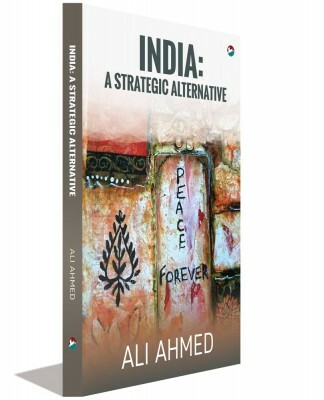 This does not lend confidence to whether India’s 2004 ‘Cold Start’ doctrine that was revised in 2010 is sufficiently cognizant of the criticism that had greeted its release in 2004. The critique primarily had two points: one is the short time window for crisis response since IBGs were to be launched in short order, and second, that deep operations could trigger nuclear thresholds. Unlike the 2004 doctrine, the 2010 revised version is not in the open domain. 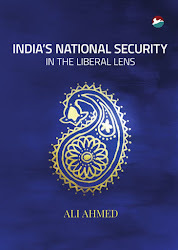 Last heard, a leak at the turn of the decade in late 2009 had it that the 2004 doctrine was under revision in the form of the ‘two front’ doctrine. That it has been thereafter adopted has not been made known in a press release as is the form in India. Can it be that the confidentiality owes to the military neglecting the critique in its revision of doctrine? 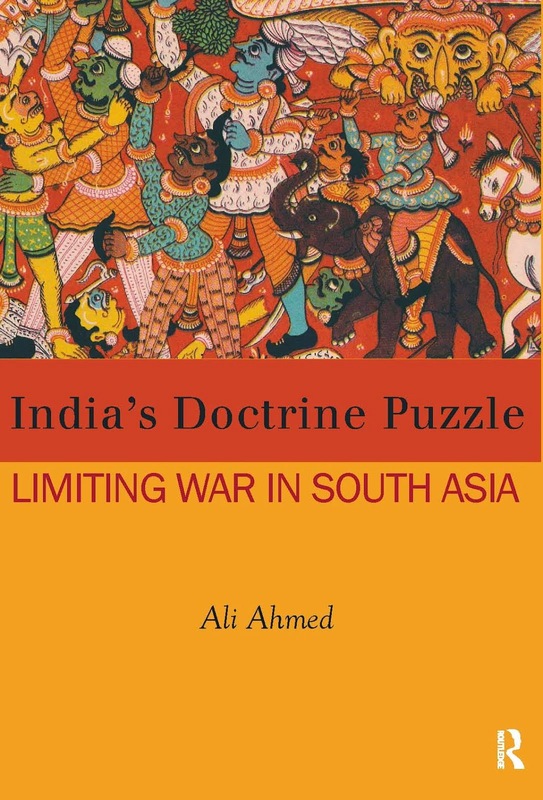 If this is the case with revision of the conventional doctrine, it is possible that such doctrinal reticence can also attend India’s nuclear doctrine. Nuclear doctrine revision had found controversial mention last year in the run up to elections. India’s reaching out under Mr. Modi to Japan had resulted in the revision being shelved. However, given the manner the new edition of the conventional doctrine has been kept internal to the military, a shift from declaratory nuclear doctrine of 2003 cannot be ruled out. Currently, India envisages ‘massive’ nuclear retaliation to any form of nuclear first use by Pakistan. However, if its army formations are practicing maneuvers that could trigger tactical nuclear first use by Pakistan, it is possible that India is prepared with the more appropriate nuclear retaliatory response: proportional retaliation. Deterrence may be tending towards nuclear war-fighting, something India’s nuclear trajectory of delivery vehicles and nuclear ordnance enables. Had the doctrinal space been less opaque, it would have been easier to substantiate this argument and raise a timely warning. India would do well to revert to doctrinal transparency in order that it benefit from the doctrinal debate that follows. In the nuclear age, how the state intends to defend the nation is a legitimate public query. A reading of the exercises underway does not inspire confidence India is sufficiently mindful of the nuclear overhang.